Calibration Brewery offers handcrafted ales and lagers in the heart of North Kansas City’s growing corridor for craftsmen and artisans. Stop in for one of the most relaxed, refined and satisfying taproom experiences in the Midwest. We've hosted a catalog of Private Events for some of the area's leading corporations and not-for-profits, expanded our kitchen with a unique, hands-on gastropub menu, and feature live music most weekends. Look for our beers and ciders on tap at select KC metro locations in early 2019! 16 taps on rotation! Try a Calibration flight or kick back with a "Compared To What" Scottish Ale. Look for our brews in local restaurants and taphouses, launching early 2019. A brand new menu features house smoked meats, drunken wings, made-to-order shareables, and our crowd favorite Hefeweizen Beer Cheese. Calibration is the go-to for private events in the Northland! 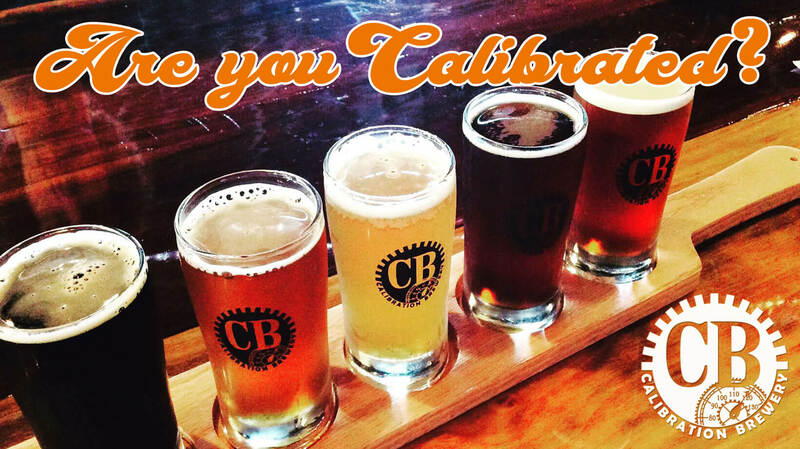 We are calibrated to your needs, whether it be a Taproom Takeover or retreat in the Back Lounge. Learn more. We host local and regional acts in the Taproom on most Fridays! See upcoming shows. Stay tuned. More shows added soon! 16 Brews & Ciders On Rotation. See You @ Calibration! 119 Armour Road (enter on Clay St.) in the heart of North Kansas City, MO!